A unique aspect of the RaDAR Challenge is moving from one deployment to another. This can be by foot (>1 km) or vehicle (> 3 km). 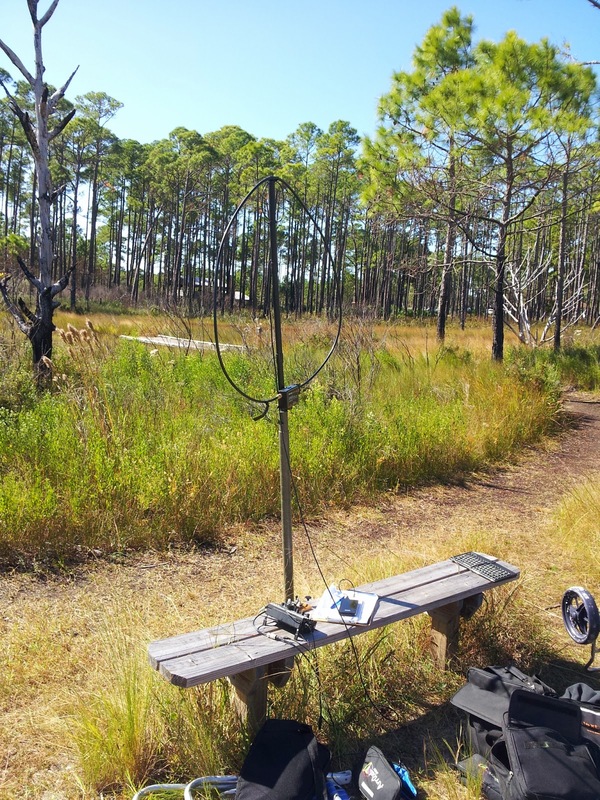 On December 14th, I had the day available since I took my wife to work in Apalachicola, FL about 60 miles from home QTH. The only hitch was that the chance of rain was 100% with heavy showers and thunder showers. 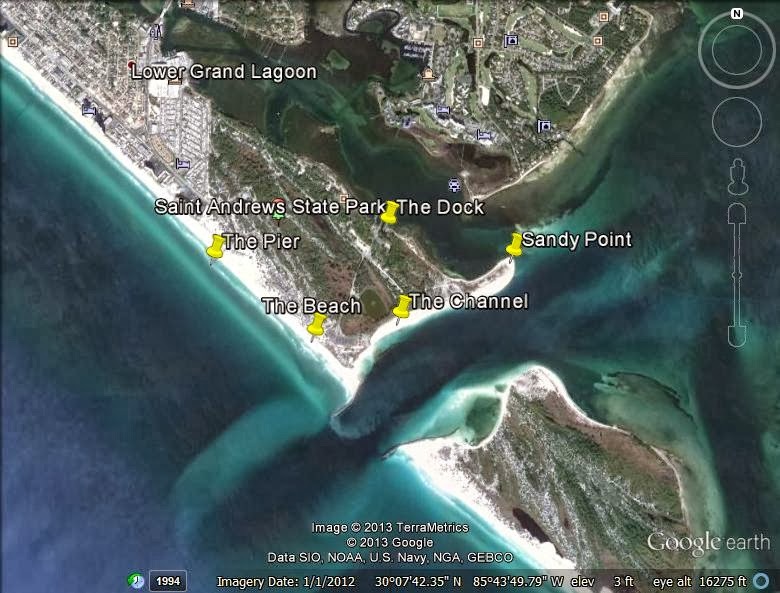 Therefore by vehicle was the better plan.The nearby St George Island has a Lighthouse and a state park. By the way, this Saturday was the ARRL 10 meter Contest. First thing in the morning, I setup at the Battery Park in Apalachicola with the KX3 and the Alexloop. I had better get some contacts before the rain starts. I got the following; ﻿40 meters CW: K2OO OH and KK4SGF GA. 10 meters CW: G4BJM NN7ZZ AZ and SP4Z. There was just a few light sprinkles there. With five QSOs it was time to move! I headed to the St George Island Lighthouse. I setup the KX3 and the Trail Friendly end fed off the back of the truck. I worked; 40 meters CW: KE4COH NC10 meters SSB: F8EMH, W1SJ VT, IK2YCW, K2JMY NY. Hey this Ten meter Contest is fun! It was now time for lunch at Subway. The next stop was St George Island State Park. This was just in time for the rain. First light then heavy and then the thunder started. I did scope out a future setup location on the North side of the park by St. George Sound. I waited for the rain to stop and after a few hours decided to head back to Apalachicola thinking operating was done. Fortunately, just before sunset the rain stopped and I remembered yet another park in Apalachicola. I setup quickly with the KX3 and the Trail Friendly end fed. I got K6AM CA, NC0B CO, VE2GSO QC, KP4RSO, K0RF on 10 meters SSB. It was sweet to take advantage of the contest. This completed ops and I had 15 contacts, three locations with five contacts each. If it had been better weather I could have done several more locations. It was fun despite the rainy weather. I picked upLinda and we had dinner before heading back to Panama City, Florida. St. George Island State Park on the sound. A future location since it was raining. 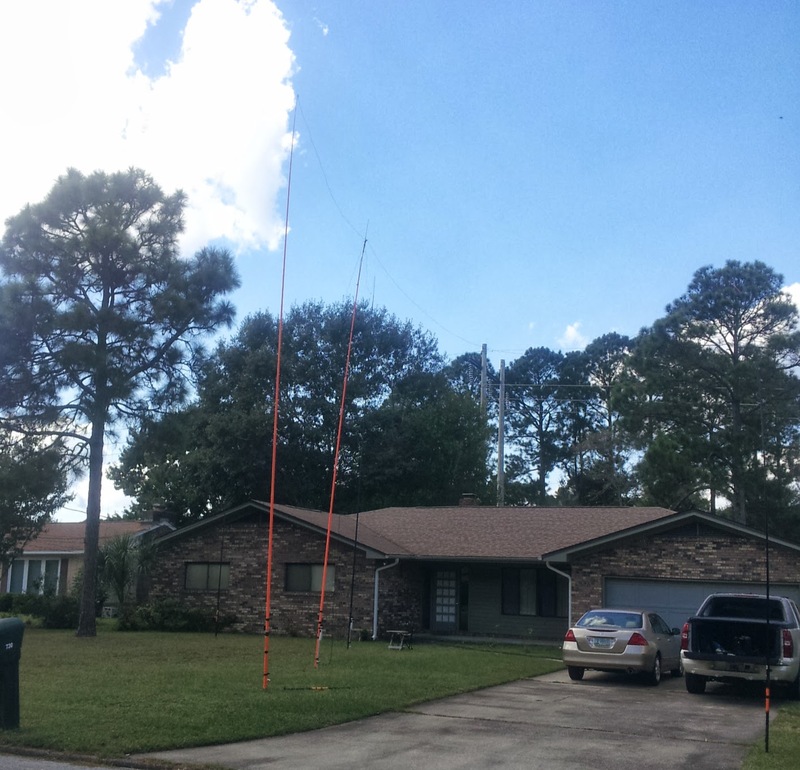 I use two types of telescoping fiberglass poles for supporting lightweight wire antennas. The first is often called a crappie pole. They are available in lengths up to 20 feet extended and are 4 feett long collapsed. I bought my 20 foot poles from Kansas Winds http://www.kansaswinds.com/Poles.html They don't give the brand name on the site but I recieved the HT SHOOTING STAR WITH HT LINE WINDER CRAPPIE POLE 20 FT TELESCOPIC POLE ( SS-20LW). I combine the crappie pole with a plastic electric fence post that has a spike on the end. These are called step in electric fence posts. They are about $2.50 and I find them at Tractor Supply. The spike will support the pole in most soils without any guys. The fence post is four feet long and is taped to the first section of the crappie pole. 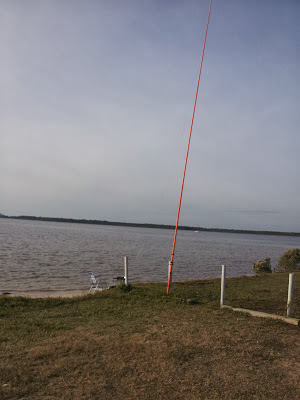 The second type of pole is the Jackite 31 foot pole. This pole more substantial and expensive running about $70. It has the advantage of extra height and it can even support the center of a dipole with RG-8X running up the pole. To plant this 31 foot pole in the ground, I use a sand spike made for fishing. I found a good deal on the sand spike on Ebay. Search for Two Custom Fabricated Heavy Duty 44" Sand Spikes. $44 for a pair. Of course, you can make good use of one pole for verticals, sloping wires or inverted vees. Two or three poles can get more wire higher. 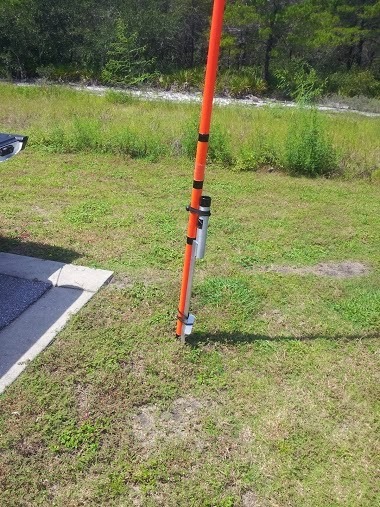 If the ground is too hard you can strap a pole to a fence or whatever is available. 20 ft crappie pole with step in electric fence post for support. In November, I had fewer RaDAR outings due to weather and Thanksgiving Holiday. Below is the month in reverse order. Definitely, the highlight was the Nov 2nd RaDAR contest. See details here. I operated at two locations in St Andrews State Park near Panama City FL. It is fun to operate a few feet from the surf. I was taking advantage of the saltwater effect. As I had experimented with end fed half waves in October, I wanted to get back the the Alexloop as you can see below. 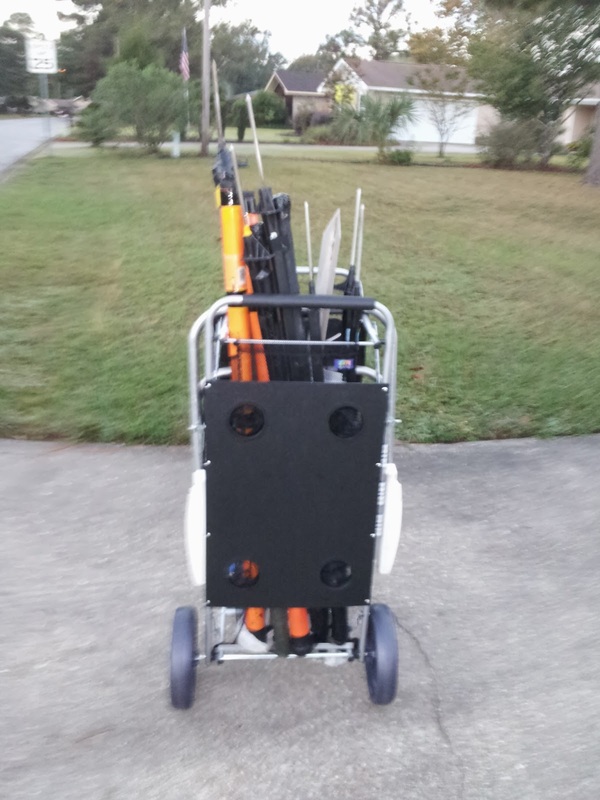 I also pulled out my Wilderness SST 20 rig and made a compact RaDAR Kit. The Rapid Deployment Amater Radio Community continues to grow to 148 members.. We are blessed to have Eddie ZS6BNE in South Africa, Tom Robinson and Lucy in the UK, John Corby VA3KOT in Canada and Manfred DJ1SJ in Germany not to mention the state side hams. Visit the RaDAR Google Plus Community. RaDAR is Rapid Deployment Amateur Radio originated by ZS6BNE. Nov 2 RaDAR Contest EM70DD21HV WD0HBR AL WB4BLX FL KK4QAM AL on 40 meter CW and KG4ITD FL W4IMH FL on 2 meter simplex. Sometimes all the factors tilt your way in doing portable ops. 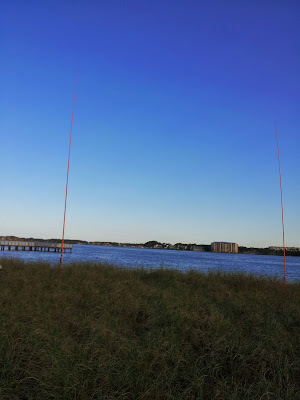 Sunday, I went to a bayside park in Lynn Haven, Florida. I decided to strap a 31 foot pole to an existing post at the park. 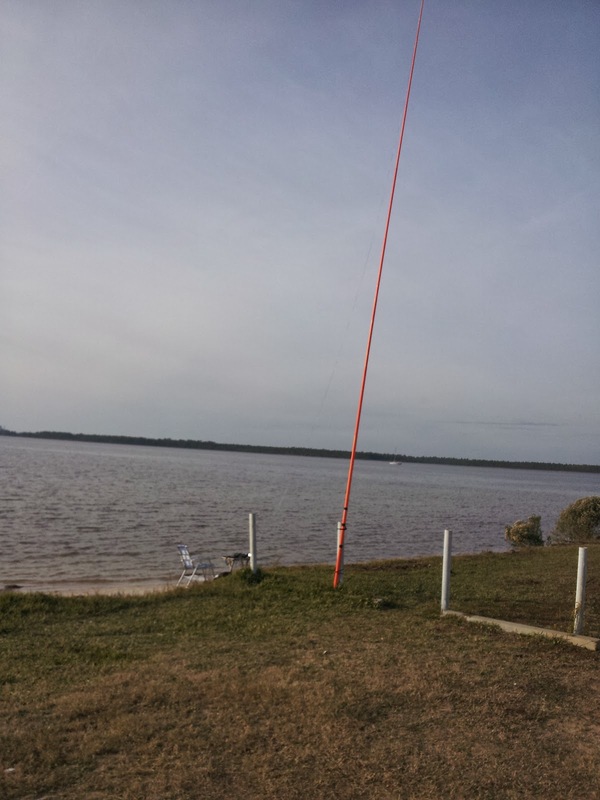 A 33 foot wire (half wave at 20 meters) sloped to the shore where I setup. 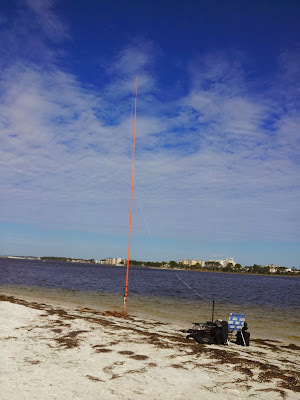 I used the Hendricks SOTA Tuner with a 17 foot counterpoise I laid on the sand. The saltwater of the bay was to the West. The 20 meter band was not very crowded. I called CQ on 14.340 SSB and was pleased I was getting answers. I got two contacts with Arkansas and a SOTA operator in Texas. I felt like I was getting a boost from the salt water between us. I also worked MI NJ and NC. They were not so strong but solid contacts. I got a visit from local ham Harold KF4YDO. While Harold was there I checked into the Maritime Mobile Net. Harold knew the net control who was 6Y5RP Rooney in the West Indies. RaDAR is Rapid Deployment Amateur Radio originated by ZS6BNE. Visit the RaDAR Google Plus Community. BTW I find Successful Wire Antennas Edited by Ian Poole G3YWX. to be well done, complete and up to date. I highly recommend it. During October, I experimented with end fed antennas supported by 31 ft poles. I even acquired a cart to carry the poles and spikes. I was betting on the performance of larger signature antennas to make up for their weight and bulk. In RaDAR the focus on setup, make five contacts and move at least 1 kilometer will lead you to think hard about just how large a pack-up and antenna setup to use. 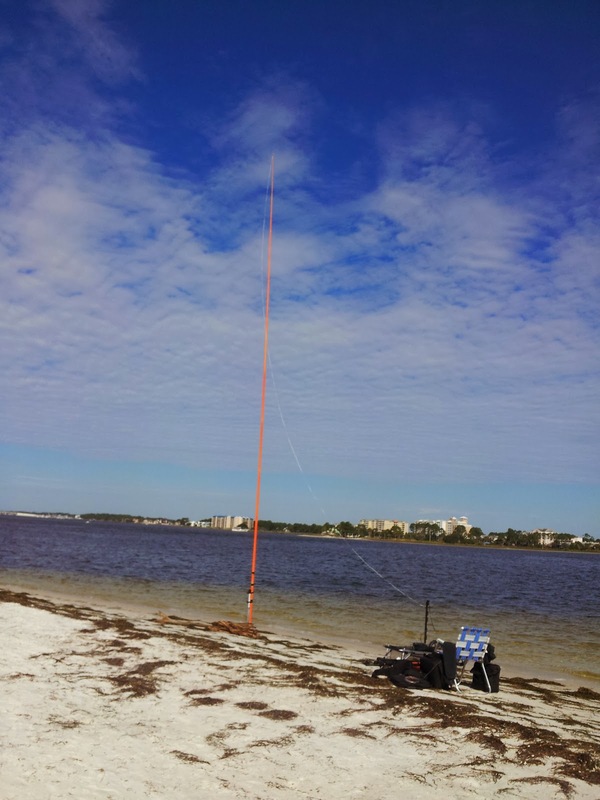 In the November 2nd RaDAR contest I did use the 31 foot poles but I paid a price pulling my cart through the loose sand at St Andrews State park. With a four hour time constraint of the contest, you want to minimize the time between locations. My first outing since the RaDAR contest was by foot to a walking park one mile from my home QTH. So I reverted to my smaller pack-up based on the Alexloop that fits in my backpack and the tripod also attaches to the backpack. I included some luxuries including a light table and hunter's chair. I also could not resist taking a fiberglass pole just in case. (did not need it) There could be lighter packups but this is light enough for a one mile trip. I deployed the Alexloop at the park location EM70DF90RB. My 1st QSO was 45 min long with Al W0ERE in MO on 18.125. Then I worked KD2JC in NJ on 21.050 and 14.052. This was followed by XE3ARV on 10.108. Now the real test of the Alexloop is 40 meters. I got a 599 from KC4HCH near Mobile AL on 7.050. To top it off I met up with a RaDAR op Pat N5VMO in TX also on 7.050. 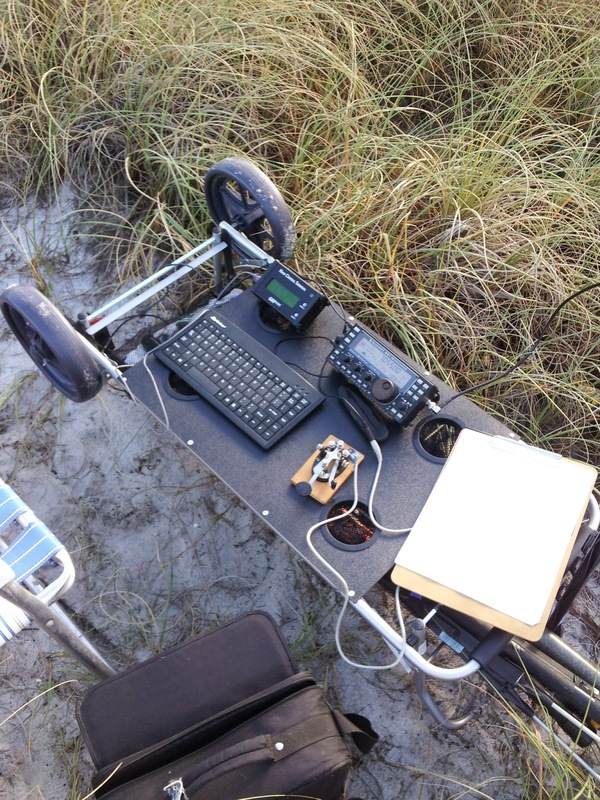 The performance of the Alexloop would be hard to beat on four bands including 40 meters for such a small setup. The time to make the contacts seems to be more a function of opportunity than the antenna itself. It may be that when the solar cycle declines that it will be a different game. It seems that most of the creatures in the animal kingdom depend on speed and simply carry themselves.. This is not a bad lesson for RaDAR ops. So consider this carefully for your pack-up and antennas. Less is often better despite the lure to take more. Melissa KK4SYL and Marv KK4DKT came by for a visit. The RaDAR Contest is currently twice a year, the first Saturday of April and November. We are lucky in Northwest Florida that those two days are possibly the best weather days of the year. Just because it is good weather here does not apply to Canada and England. But they participated as well. I took advantage of the St Andrews State Park for the November 2nd Contest as I did last April. St Andrews State Park is one of the most popular State Parks in Florida. You just can't beat white sand beaches to operate from. I decided to start from what I labeled The Dock. It is not exactly a beach but has shoreline with tall grass. The unique aspect of RaDAR Pedestrian Mobile is deploying making five contacts and then redeploying to another location at least one kilometer away. This year I used a cart that doubles as a table. A beach cart that doubles as a table. It is a great cart but frankly nothing pulls that easy in loose sand. It slowed my one kilometer transit time by 7 minutes. I had all my gear on it. So next time I think I will spread the gear between the backpack and the cart. I had spent the prior month experimenting with using a LNR 40/20/10 End Fed matchbox with a custom length of wire. The matchbox will work any band if you cut the wire for a half wave. So at Location 1 I wanted to focus on 40 meters. I deployed a 66 foot wire with two 31 foot Jakite poles. The top section should help with NVIS contacts. I had three 40 meter CW contacts; Tom WD0HBR in Dothan AL, Bob WB4BLX and Don KK4QAM in Sweetwater, AL. I then took advantage of 2 meter Simplex. I had a SlimJim on a crappie pole. 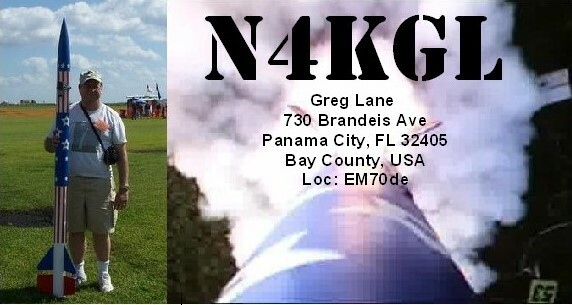 I worked Junior KG4ITD in Bristol FL and Frank W4IMH in Fountain Florida. That is pretty good DX for simplex. Next was the one kilometer transit to Sandy Point in the park. It has saltwater view over most of the azimuth. So if saltwater is an advantage I would have it there. I deployed a 33 foot wire almost vertical to a 31 foot Jackite pole. I flipped the cart to use as a table. I was very pleased to work immediately Steve KF5RYI in Texas. Steve is a new ham that is embracing CW and RaDAR. This was followed by three more CW contacts and one PSK contact. The extra box that I have is the Ham Central Terminal, lets me do keyboard PSK without a laptop. Time is a factor in RaDAR. I had just used up three hours of the four. So I packed up and traveled one kilometer back toward the dock. I setup the Alexloop but no luck in the final minutes. Ten contacts and one of them PSK is a good outing. Of course last April I got 15 and was more mobile with the Alexloop and the backpack. The tradeoffs are what you ponder and learn from in RaDAR. RaDAR is Rapid Deployment Amateur Radio originated by ZS6BNE. The Monthly RaDAR Challenge is on-going. If you are interested in RaDAR visit the RaDAR Google Plus Community. I was pleased hear about several international hams joining in on the RaDAR Contest. These include VA3KOT John in Ontario and Tom G0SBW in England. Another ham from England Lucy Lu M6ECG has shared her RaDAR setup and RaDAR experience.via YouTube. Please enjoy Lucy's videos below. 10/26 Headland, AL Tailgate. I gave a demo of the KX3 and the Alexloop. I was assisted by Thomas WD0HBR of Dothan. I worked Finland and Alaska on 15 meters SSB. 10/24 EM70CE82 RaDAR Lunch N4KGL worked KD2JC Joe in NJ on 40 meter CW QRP X 2 QSO ant 66 ft end fed half wave 33 ft up and 33 ft over with 31 ft poles. 10/21 EM70CE82 RaDAR Lunch N4KGL worked 4A2I in Mexico and KP4SJ in Puerto Rico on 10 meters CW with KX3 10 watts and end fed full wave. 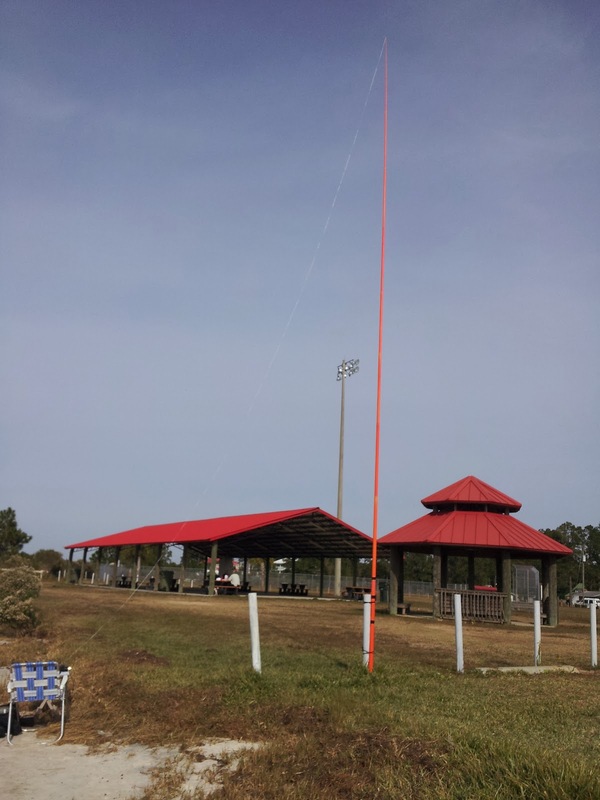 10/19 Jamboree On The Air EM70GM53 Deep Springs Park near Fountain FL. I used a fan dipole for 40, 20 and 17 meters. Our club was there for JOTA and got some scouts on the air. We also had a fox hunt for scouts. 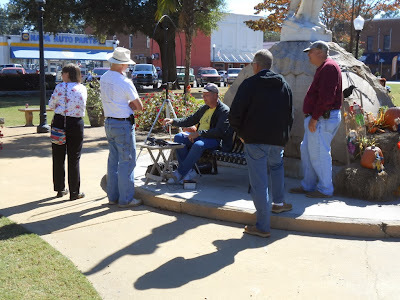 10/17 RaDAR Lunch EM70CE82 N4KGL worked Larry W2LJ NJ, KV6Z in OK and WN9U in WI on 20 meters CW. K8CW on 17 meters CW. K5BQ in TX on 40 CW. 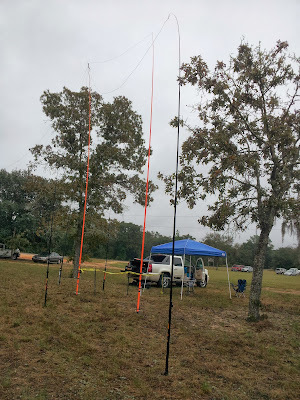 I used 33 foot vertical wire with LNR matchbox on 20, 9 to 1 unun on 17 and elevated radial on 40. Marv KK4DKT joined me for a while. I called Steve KF5RYI but did not raise him. 10/15 EM70CE82 RaDAR lunch N4KGL worked K9AAA MI on 20 CW and worked N4DPU FL KS4IO FL & W6OAR CA on 15 SSB. I got S9 report from CA. 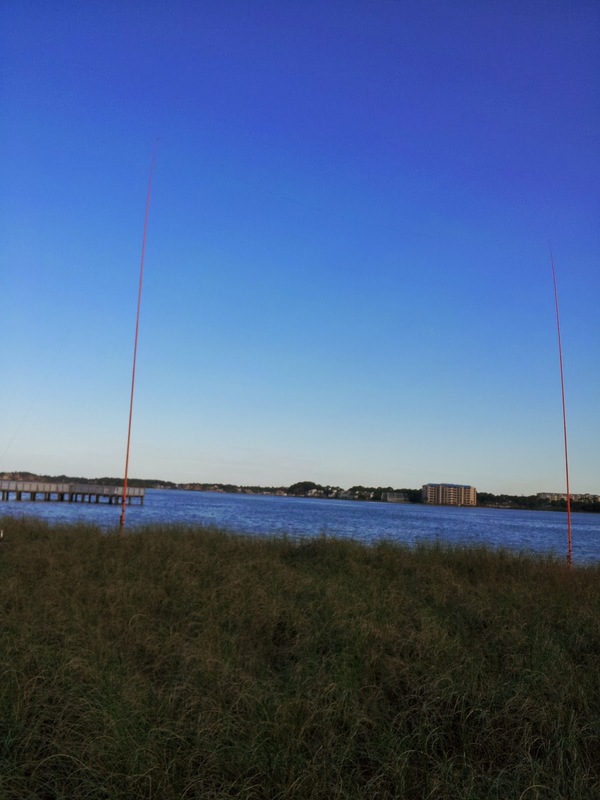 10/12 EL79IT Port St Joe FL N4KGL worked 20 meters CW: TX NC NC IA NH 15 meters CW: IA NH NJ AZ & EI4JZ 40 meters CW FL 10 meters CW: ZL1BYZ The ZL Made My Day. KX3 5 watts Antenna was 33 foot wire up to 31 foot Jackite pole. 10/10 EM70CE82 RaDAR Lunch 20 meters CW W3NP WV and N3RSD DE nice contacts. Ant 33 feet of ribbon cable with LNR Matchbox. This is half wave at 20 meters and strung vertical up a 31foot Jackite pole. 10/5 EM70GM53 Deep Springs Park near Fountain FL. Greg N4KGL checked into SouthCARS with net control in VA on 40 meters SSB, worked CA on 20 SSB, TX & MO on 20 CW and CA on 10 meters CW. I used KX3 and the trail friendly end fed. MARV KK4DKT and I had a RaDAR outing together. The Deep Springs park will be the site of JOTA ops on Oct 19th. The RaDAR-America Contest is Saturday November 2nd 2013. The rules are at this link. RaDAR is Rapid Deployment Amateur Radio originated by ZS6BNE. The Monthly RaDAR Challenge is on-going. If you are interested in RaDAR visit the RaDAR Google Plus Community. On Saturday November 2nd 2013, there will be the South African RaDAR contest and the RaDAR-America Contest happening concurrently 1400 to 1800 UTC. See the rules for RaDAR America at this link. You have some time. The RaDAR-America Contest is Saturday November 2nd 2013. The rules are at this link. RaDAR is Rapid Deployment Amateur Radio originated by ZS6BNE. The Monthly RaDAR Challenge is on-going. If you are interested in RaDAR visit the RaDAR Google Plus Community. RaDAR encourages mobility. I have chosen the pedestrian mobile category. Therefore, I must move .6 miles (1 kilometer) after making five contacts or make five contacts over the course of .6 miles. I do not have to make contacts on my feet but I can. So I'll need an area to operate in. I am choosing St. Andrews State Park near Panama City Beach, FL. The park is an awesome location due to being surrounded by saltwater on three sides. I placed some markers on the photo that are 1 kilometer apart. I like Sandy point as it clear of obstacles and almost completely surrounded by saltwater. There is a good chance I'll oscillate between Sandy Point and the Dock. I am thinking about using a 33 foot vertical wire supported by a 31 foot Jackite pole. I can tune that wire as a half wave on 20 and full wave on 10 with a LNR end fed match box. It also could be a 3/4 wave on 15 and a quarter wave on 40 with a counterpoise. But gee the simpler choice is to just go with the Alexloop which is also vertically polarized. The contest is 4 hours, 9 AM until 1 PM CDT. How many 1 kilometer trips can I make? That depends on a lot of factors and details to ponder. You can see me on APRS as N4KGL-5 with my android smart phone. I use the RunKeeper app to tell my distance traveled. I use the HamGPS app to identify my grid square. The exchange includes grid square or USNG location. So if we work I'll be trying to get yours. My planned frequencies are below but hunt and pounce will likely be the order of the day. Anyway I am counting on good weather and good propagation. It is a premier weekend for portable ops so get out and operate RaDAR if you can. 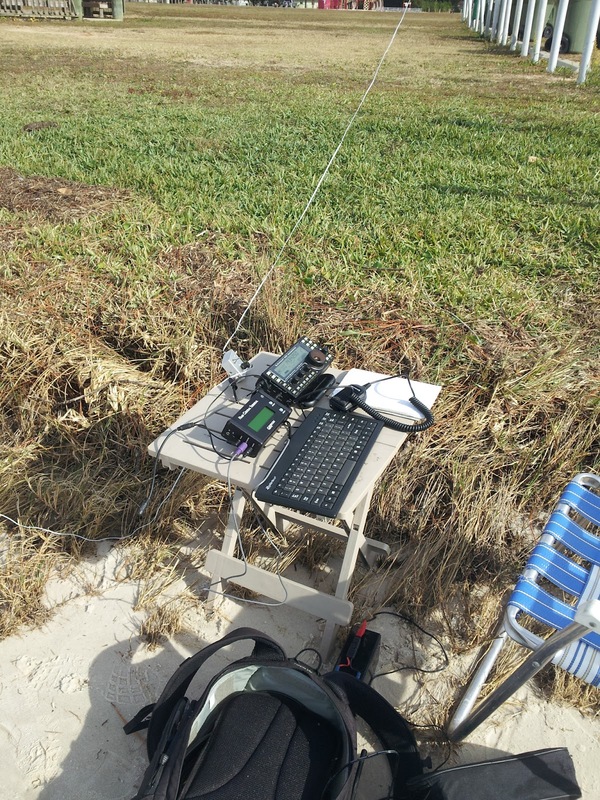 The RaDAR-America contest is an event aimed at promoting the use of Rapidly Deployable Amateur Radio stations throughout North and South America. This contest is for all licensed radio amateurs. A choice is made prior to the contest to participate in one of the defined categories. RaDAR Fixed station (At home or in another building). RaDAR Field station (Portable away from home). Moving RaDAR station, Car / Motorcycle / Bicycle / Maritime – Minimum 3 miles (approx. 5 km) per 5 QSOs. Moving RaDAR station, on foot – Minimum 0.6 miles (approx. 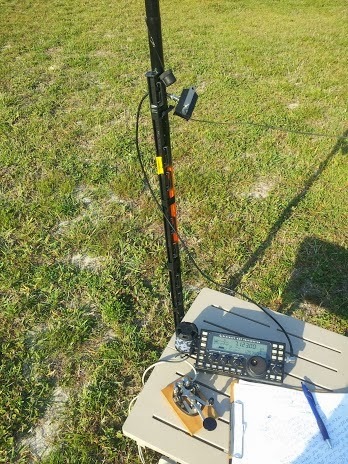 1 km) per 5 QSOs. The points system is so structured as to encourage portable operation, especially moveable stations. The rule structure is very close to that formulated by the founder of the contest idea: Eddie ZS6BNE. This contest will take place at the same time in South Africa (the Nation from which the idea originated), as it will here in the Americas. First Saturday of April and first Saturday of November starting at 14:00 UTC and ending at 18:00 UTC (4 hours). All amateur bands, besides the WARC bands, are allowed including cross band contacts via amateur radio satellites.